Woah, just a month after Famitsu had two pages on Animal Crossing 3DS, we’ve got more information from another magazine! Be sure to click on the thumbnails for the large high resolution versions. And finally, don’t forget to speculate on what you see in the comments below! A few weeks back there were a few pages in the Japanese magazine Famitsu showing Animal Crossing 3DS but of course we couldn’t really read it. I posted a video on here analysing the pages but it wasn’t really a translation. However, there’s now some translated details coming from Nintendo Everything. Some of this was already known but there’s still lots here. The details are after the break as it’s fairly long. 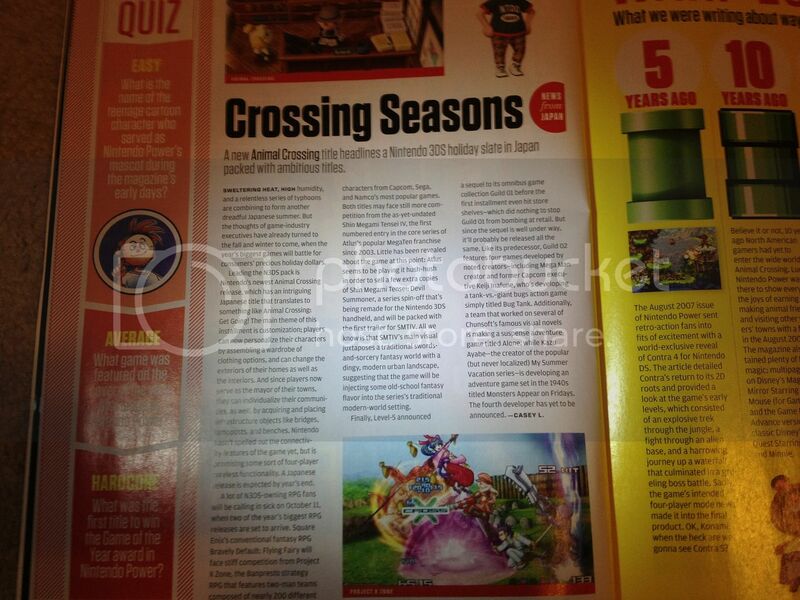 Remember that preview for Nintendo Power showing a page on Animal Crossing? Well, we got a paragraph or two detailing information from June’s Nintendo Direct. Yeah, not the most useful thing in the world. The only interesting thing is that they’ve translated it as Animal Crossing: Going Out which makes zero sense as everyone else seems to have decided on Jump Out or Fly Out instead. Weird. Make sure to keep in mind, Nintendo Power is speculating on the name just as much as we are, it’s not an official translation or anything. Anyway, if you want to read what they said you can find a blurry photo of the page right here. Not major news or anything but in a preview of the latest Nintendo Power (August) there will apparently be some space on a page related to Animal Crossing 3DS. I’m sure it won’t be anything too big but with the news drought lately it doesn’t hurt to mention it. You can check out the preview here. The AC 3DS mention is on the last page of the PDF. The source of this data can be found in the Quarterly Earnings PDF report on Nintendo’s website. Sorry, I’m a bit late on this but here’s a video translation analysis of the Japanese Famitsu scan from a few weeks ago. Hope this helps out if you were curious about the scan! 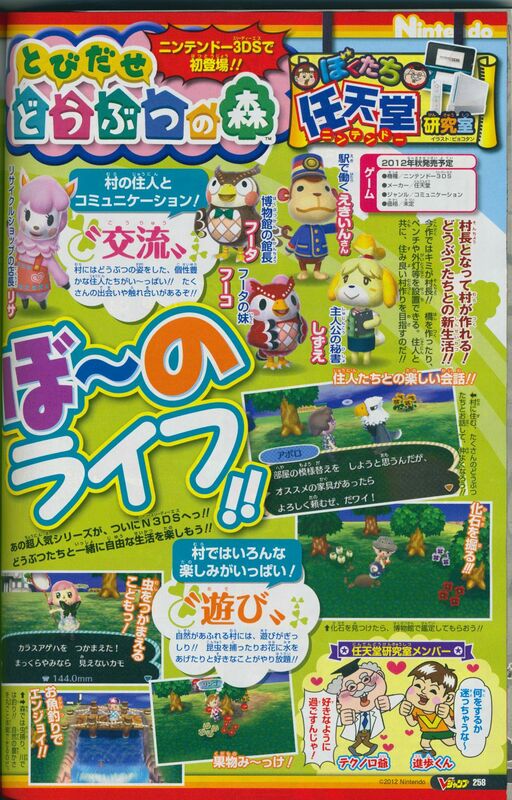 Here’s a new Animal Crossing 3DS scan from the Japanese magazine Famitsu. There’s a couple new screenshots/features to be found so make sure to take a good look at the scan.